If you already know your credit score is low, being approved for any loan you apply for is almost impossible. But as Car Cash Point don't need to check your credit score to help you with a loan, it makes the process much easier. And once you're approved for a Car Cash Point logbook loan, there are still plenty of ways to help you improve your credit score overall. When your credit score is at an all-time low, or even non-existent, the obvious way to improve it is to get credit. But, as with a lot of financial dealings, that's easier said than done. 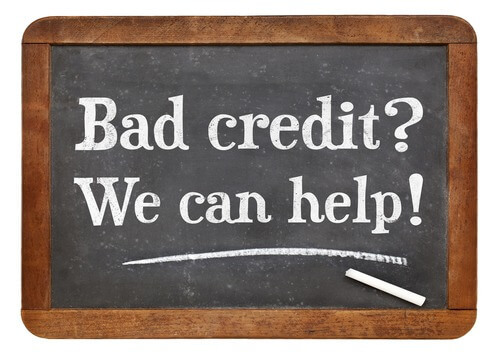 A low credit score keeps you caught in a vicious circle - you can't get credit to improve your score, and you can't improve your score without credit. So what do you do? We all have a credit score and it usually starts when we're 18 because that's when legally allowed to 'buy now, pay later' with credit cards, bank loans, and any other kind of credit agreement. It all takes place in the background and we're none the wiser to it. But as we pay back our credit card bills and pay our monthly mobile phone charges, we gradually increase our credit score. Over the years, we all generally build up a relatively healthy rating which helps us with the bigger things, like taking out loans, getting a mortgage, or getting a new credit card. So an improved rating lets you get more credit, which in turn helps you improve your rating overall. Keeping an eye on all our credit secrets are two companies, Experian and Equifax. Both of their websites offer a credit check so you can see exactly where you are on the scale: excellent, good, fair, poor, or very poor. More importantly, these are the credit agencies that companies will use to see if you're creditworthy or not. They'll check all the details held about you, your past addresses and any amount of financial history - good and bad. So whenever something happens that will affect your credit score, it will get recorded. And any company looking at your record is able to see your missed payments, CCJs, or bankruptcies and will give you a wide berth when it comes to lending you money or extending any credit. Almost every loan requires credit checks. That means lenders will be looking into your credit history and finding any manner of reasons why they shouldn't lend to you. And they don't even have to give a reason. Usually, you'll just get a 'sorry - your application has been unsuccessful' email - or text. As we've said, at Car Cash Point, we don't require credit checks. In fact, Car Cash Point is the only logbook loan lender in the UK who don't require any formal credit checks. So when you're in need of a lump sum, whatever you need it for, Car Cash Point can help you - whatever your credit record says. Car Cash Point offers a range of flexible repayment schedules so they match the way you receive your own income. So whether that's weekly, fortnightly, 4-weekly, or monthly, we can make arrangements so your repayments work around your own finances. Car Cash Point are the only UK logbook loan lender to do this. 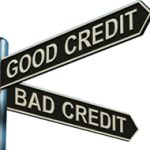 Many borrowers get a bad credit rating because they consistently make late payments or don't make their payments at all. We love our customers paying on time, but understand payments might be late or delayed for lots of reasons. Our fees only kick in after four days, giving you a chance to make your payment without penalty. Both of these steps will help you improve your credit score, tipping you towards the 'fair', 'good', and 'excellent' end of the scale. And that shows future lenders you're a safe bet to lend to. It will help you if you want to take another loan at any point in the future, get any other line of credit, or even get a mortgage. Besides following these steps when you take a logbook loan, there are plenty of other ways to improve your credit score. The records held with the credit agencies on you, your details, and your credit history may not always be accurate. Even the previous owner or tenant of your house could drag your score down. If anyone has lived at your address before you moved in, their bad credit habits will still be attached to your address, and that means you could be penalised. Companies see your details in black and white and make a snap decision based on what they see. So it's worth signing up with one of the agencies to get an accurate and up to date look at your records. Then you can go through it and ask for any old or incorrect information to be taken off. Also, registering yourself onto the local electoral roll will greatly improve your rating. If you've never registered, there will be no official history of your previous addresses, meaning no credit. You'll be seen as someone who continually moves around, avoiding detection. And that means alarm bells will be ringing with the lender. When you're ready to start improving your credit history, start with a logbook loan from Car Cash Point. We've got a range of transparent and easy to understand loans that include a great rate of interest (almost half that of other logbook loan lenders), no hidden fees or charges, and of course, no credit checks to hold you back! visit www.carcashpoint.co.uk to find out more and apply online, or call our award-winning customer service team today on 0330 057 8719 and speak to one of our advisors, and you'll be on your way to improving your credit score.